what do you really need to master to communicate effectively? 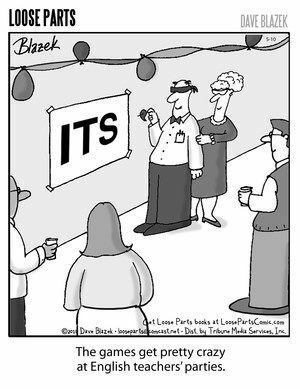 Now that you're a senior, you've earned oodles of English points. But there are still some basic principles of communication that you need to master; if you don't master them in high school, I am doing you a disservice. So let's get to it! How do we write clearly and directly? Why is it important to become a writing ninja, especially in an age of texting and Snapchat? The student will master clear and direct writing. The student will develop and employ their ability to revise and edit personal writing. The student will be able to analyze and discuss their writing using grammatical language. How does the issue affect you? What would you like to see the official do about it? Engage in discussion about the week; why is it important to be proficient with these writing styles? 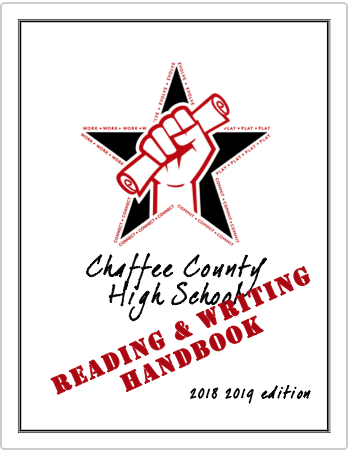 Click on the thumbnail to access a PDF of the Reading and Writing Handbook. If, somehow, you lost your handbook, please DO NOT print one yourself... let me know, and I'll get you another one. The handbook is here just for added reference.